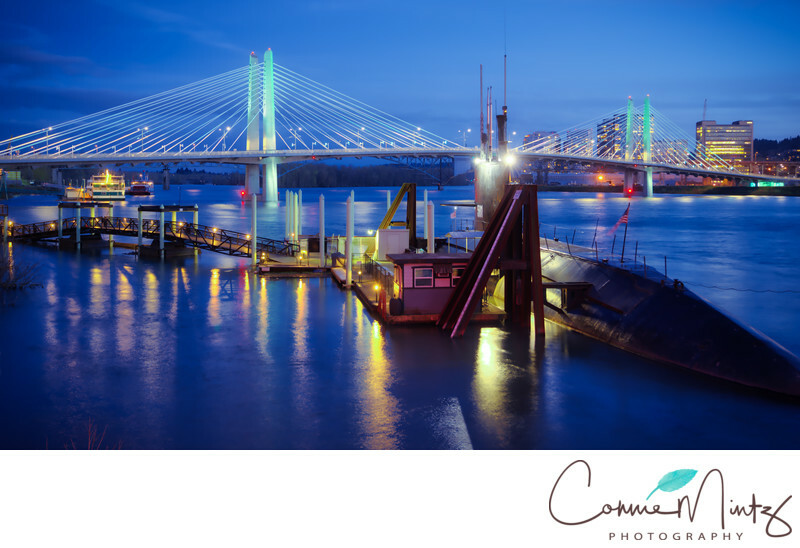 Landscape photo featuring the Williamette River in Portland, OR near OMSI. The item in the foreground is a submerged submarine . 5; f/7.1; ISO 100; 35.0 mm.